Safety for you and your client's should be your top priority! Showing a house that is vacant can be dangerous since you never know if you might confront an unwelcome guest. 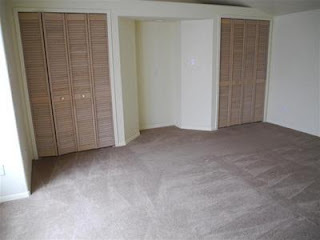 A HIT Caretaker occupied house can provide you and your Seller the best condition and appearance of the property. A HIT Caretaker occupied house provides peace of mind. Equipping your marketing toolbox to include the HIT program can provide a no cost way for you to provide an added benefit that will give you a competitive edge and dramatically increase your listing presentation success. Because of HITs proven success at delivering properties in time for closing and doing what they promise, you can refer the HIT program with confidence. It's best not to wait till your listing is about to expire to refer the HIT program, but better late, than never. Marketing materials, pictures and videos are important and costly. Using the HIT program will complement your marketing efforts and guarantee the longevity of your listing and maximize your efforts. HIT charges the Property Owner a small fee that starts at $1500.00 an DIMINISHES to zero after 90 days of our Caretaker's occupancy. If the house doesn't sell in first 90 days of our Caretaker's occupancy, HIT's service is entirely FREE to the Property Owner until the property sells. 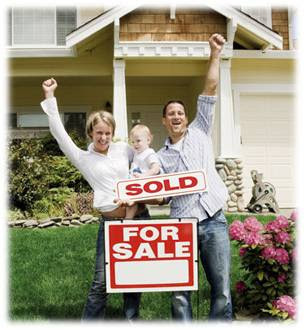 We're motivated to help you sell your listing fast because it promotes your referral of more vacant houses! HIT's comprehensive marketing and asset preservation service will help you sell your vacant listings faster and at a better price resulting in faster commissions and bigger checks. HIT will eliminate those dreaded chores of checking on the property and the need to clean up the house before your showing or open house. Our Caretakers are under contract to provide you with a well maintained property seven days a week. Their cheerful accommodation, careful placement of furnishings and daily upkeep of the property will ensure great showings. Faster sales means your listings will be sold before they expire. 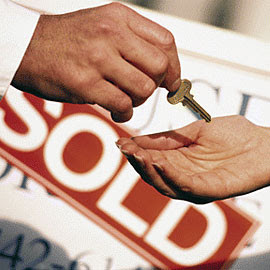 Nearly 75% of the TOP PRODUCERS use HIT to help them sell their vacant listings. Great benefit - no cost to you! Huge return on your investment. The need to manage the details of the property are removed from your plate giving you better showings and more time to focus on selling the property. 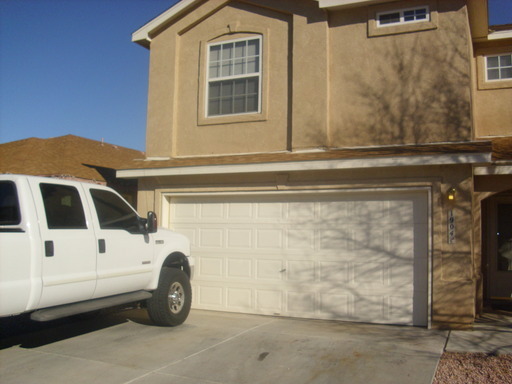 HIT provides coordination with our Caretaker for your repairs or inspections. You won't have to meet them if you don't want to. As a Broker using the HIT service, you and your HIT listings will be featured on our website Home Page. Eat a snack before you go out so that you don't feel a need to order a big meal. Eat an apple or some crackers and cheese an hour before you go out to effectively curb your appetite. Go out for breakfast, lunch or brunch. Dinner is the most expensive meal due to ingredients, staffing demands, and portions. On average it costs 25% more than lunch and 50% more than breakfast. Drink water with your meal. Prices on beverages are marked up significantly, sometimes 3-4 times what they would cost you in a store and sometimes even more. This holds true for both alcoholic and non-alcoholic beverages. Avoid appetizers and desserts. The profit margin is big for restaurants with these items which means the value is low for you. Share meals or bring home leftovers. The trend these days is large portions. Unfortunately the other trend is to not take home the leftovers. Bear with the potential embarrassment and take home what you cannot eat at the restaurant. It is often enough for another meal and makes for a great work lunch. Look for deals on Tuesdays and Wednesdays, the 2 slowest days of the week for restaurants. Deals are often featured on these days to entice people to come in. Think about going to a food establishment where you don't have to tip. There are many good places where you pick up your own food at the counter and bus your own dishes, eliminating the need to leave a tip. Better yet, get a classy meal but take it to a park or other nice vista. Take advantage of any discounts you can. There are discounted meal selections for children and senior citizens. Some restaurants may even feature an early bird special that is open people of all ages. Restaurant coupons are always a good way to save money. Look in entertainment magazines. They not only contain coupons but many restaurants also use these publications to announce special deals. Another great source is Restaurant.com where you can search for deals and discounts at a restaurant near you using the zip code you live in or the zip code you are going to visit. Treat yourself on occasion but be wise and stick to your budget. There are some cheap eats out there you just need to be aware of what to avoid, what to look for, and how to get the most bang for your buck. If you found the content of this article to be interesting and useful then check out http://www.frugalsensei.com/extras/entertainment for even more ways to find entertainment on a budget. Visit The Frugal Sensei where the goal is to get you the most for the least. What is a habit? Generally a habit is something you do or do not do repetitively. It can be as important to break a bad habit as it is to form a new good habit. Many experts have tips on how to accomplish this. Over time, I have found that it takes daily practice for a minimum of 30 days to own or disown a habit and another 60 days to place into your daily life so that you do not have to think about it at all - simply to do or not do something. Frankly, I have learned to take this one step at a time and work on one habit at a time to ensure long-term success. I use Outlook to remind myself at the beginning, with daily reminders, as well as sticky notes on a mirror if needed. You may want to use a mobile note, call your number and leave a message or some other method - simply make it one you will follow. number of hats. Time becomes even more golden to you, so when I ask that you put one more thing on your plate, I do not do so lightly. The guides I suggest are critical to your long-term success. Guide 1: Understanding. When dealing with prospective clients, current clients or former clients, practice understanding them, and then practice being understood. Create dialogues, not monologues. Do not just listen; listen for concerns. This involves active listening skills and patience with what is being said and what is not. If this is an issue for you, I suggest you find someone you are comfortable with and do some role-playing, either in person, via Skype or telephone. If you have a video camera or a camera on your computer, think about a real-live situation and re-create it. You might be surprised at what your facial expressions and voice actually bring out. Guide 2: Values. Each of us has strengths and weaknesses in this area. Take the time to jot down your most important values and ask the question "Am I practicing these consistently - and if not, why not?" This also means avoiding gossip, reacting to situations, rather than quietly stating or showing your value system and modeling your values, regardless of your mood at the moment. This too requires patience and practice. Guide 3: Improvements in yourself and others. Recognize even the smallest effort in this area! We are human and fall down. The secret is to get up, put on our big kid pants and keep working on making things better. A personal case in point - I have been working steadily toward keeping a neat desk and desk drawer. I took some photos several days ago and know right where to find them to remind me of my goal. Each day that I hold true to this goal, I find a way to give myself a virtual pat on the back. At the end of 90 days I will reward myself with something I have wanted but would not get for myself - ever. Guide 4: Good Manners. Learn to remember names. Ask rather than order. Acknowledge helpful actions with thank you notes. Be Prompt. Names are a real struggle for me; this will take more effort on my part. I have a drawer full of unused note cards. I have established a goal of having an empty drawer by the end of the year. At least two Mondays a month, I have scheduled time in the morning to get notes done and mailed. Again, the point here is to take action and reward yourself frequently. Guide 5: Initiative. Form the habit of doing more than expected for your clients; under promise; over deliver; and be generous with positive feedback. I recognize that you are in business to make money and many do more than expected for their clients. What I talking about here is making the time to do little things they would not expect - forwarding an article or notice of a conference they might be interested in, or a publication you think might help them. Guide 6: Avoid People Pleasing. Delete the word "try" from your vocabulary. When you mean yes, say "yes". When you mean no, say "no". There are times when a client may make an unreasonable request and not even be aware. This is when you can suggest an alternative that hopefully they will accept. If there is no common ground, then you simply have to say "no" and be prepared for any consequences. Especially if you are new to business, this can be a very scary proposition. However, learning how to handle this appropriately is very important. Guide 7: Physical and Mental Health. Take responsibility for raising your energy. Use humor and prayer or meditation for those things we may not ever understand. Your face radiates your image, inside and out. Smile! I have adopted a habit of meditation when I first enter my home office each day, leaving my computer off until I am finished. This has taken self-discipline and placing materials where I can easily access them; it is amazing how much calmer I am at the conclusion of this exercise. Please feel free to share these with other entrepreneurs, especially those who are new to the world of being in business for themselves. Light, bright, vaulted ceiling in this southwestern style home. Saltillo tile. 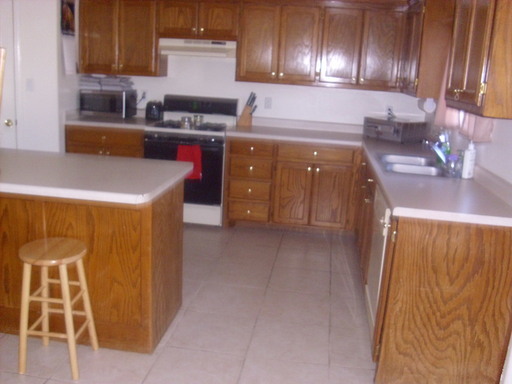 Private, quiet professional home on cul de sac. Southwestern, low maintenance landscaping. Loft area for office, guests or 3rd bedroom. Lovely yard with room to entertain. 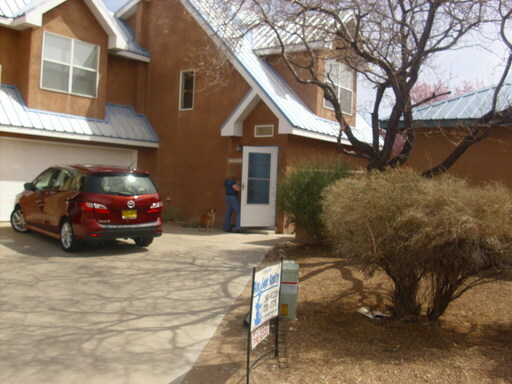 2 Story Townhome with a loft, Saltilllo Tile, Kiva Fireplace on a Cul de Sac. NO PET. We are in the process of purchasing a home at 1527 Wagon Train Dr. SE, where Melinda has been the caretaker for the past several months. I wanted to take a moment to let you know how wonderful Melinda has been during this entire process. Not only did she keep the house completely spotless, she was always so tremendously accommodating when we made requests to see the property. We were recently able to view the home after Melinda vacated it and we have to say - we are beyond thrilled with the condition of the home. We will literally need to do nothing but move our stuff in since she did such an amazing job cleaning it and maintaining the yard. We also really appreciate her leaving us some of her plants and gardening tools! We were not aware of Homes in Transition before meeting Melinda, but we will be telling our friends that may be looking to sell their homes about your company and about Melinda in particular. Please accept our thanks and pass them on to Melinda as well. This oversized Ladera Heights home is conveniently located just minutes away from schools, shopping and freeway access. Beautiful tile floors throughout. The first floor leads to a bright, open kitchen. Has 4 Bedrooms and office/loft and a fireplace in the living room area.